We offer several options for reviewing your manuscript. Everything starts with a Checkup. After that, you can choose from several options and steps, to take you to a completed manuscript to reach your book goals. Checkup - Find out the strengths, weaknesses, suggestions and opportunities for next steps on your manuscript in 1 to 3-page high level assessment. Our Editor will skim through your manuscript looking for key points. We will assess your manuscript and write a 1 to 3-page critical analysis including strengths, weaknesses, suggestions and opportunities for next steps. 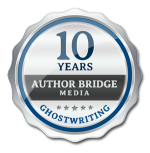 You'll also meet our Author Consultant so that we can get clear on your book goals. Diagnosis - In this advanced Manuscript Review, we give you a critical review and complete analysis of your full manuscript, offering suggestions for how to fix it. An editor reads your entire manuscript, writing an assessment of up to 3 pages. Diagnosis and CATscan - We give you an advanced manuscript review, including a 3 to 5-page assessment of your manuscript. It's much more in-depth. An editor pours over your entire manuscript writing comments in the text itself. We're giving you specific suggestions, leaving comments in the pages so that you know exactly what to do where. The Diagnosis and CATscan gives you a play-by-play for editing your book. Operate - We use our assessment to rewrite your manuscript for you, saving you time and energy. That's why you need to have a Manuscript Checkup first. We can't operate we've done a Checkup. Then, if you're okay with our assessment, we'll go ahead and do the operation, rewriting your book so that it sounds like the best version of yourself. Make My Sentences Smooth - We copy edit your manuscript for sentence flow, grammar, spelling, etc. so that your manuscript sparkles. Dot my I's - We proofread your manuscript for stray typos and errors so that you look polished and professional. Cover Copy - We write and/or edit the book's cover copy so that your book attracts your ideal reader. Front/Back Matter Copy - We write and/or edit the front pages and back pages of your book including the acknowledgements, about the author section and marketing page so that your audience can connect with you. Would you like a professional editor to review your manuscript? It all starts with a Checkup. Sign up for the Manuscript Checkup so that you can move forward with focus and direction.